AS IT STANDS: What if the so-called 'affluenza' teen was an African-American? 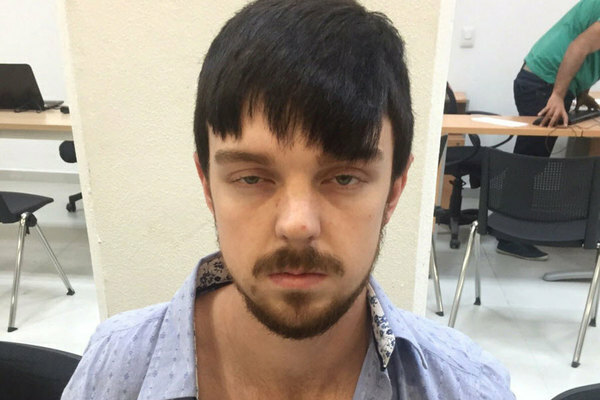 What if the so-called 'affluenza' teen was an African-American? The American justice system treats rich whites differently than poor blacks. The case of Ethan Couch, who was sentenced to parole after a drunk driving incident that killed four people, symbolizes the extent to which class and race play a role in our justice system. During Couch's trial, a psychologist dubbed his condition “affluenza” – a term he later regretted using – suggesting that the teen’s wealthy parents were partly responsible for an upbringing where he never faced real consequences for his actions. The term struck a chord with Americans, with the case coming to symbolize the extent to which the justice system treats rich whites differently than poor blacks. After breaking his probation and fleeing to Mexico with his mother, Couch was recently nabbed by Mexican officials who turned him over to Texan authorities. “What is the likelihood if this was an African-American, inner-city kid that grew up in a violent neighborhood to a single mother who is addicted to crack and he was caught two or three times ... what is the likelihood that the judge would excuse his behavior and let him off because of how he was raised?" Dr. Suniya Luthar, a psychologist who specializes in the costs of affluence in suburban communities, told The Associated Press in 2013. While his mother may do some jail time, Ethan only stands to do some soft time until next April when he'll be set free. A growing list of such disparities have affected how Americans think about how punishment is meted out in the United States. The Pew Research Center recently reported that only 32 percent of Americans think the country has made enough changes to its justice system, down from 49 percent in 2014. Likewise, the percentage of Americans who say that more change is needed rose from 46 to 59 percent in the same span. Such biases are notoriously difficult to weed out of a system that has tolerated them for so long. That doesn't mean the system can't be improved on. We can start by treating all Americans equally. This will happen when enough people are educated about racial equalities and voters start electing officials (including judges) who are color-blind.